A photo of the Guelph Predators from the team's Instagram page. The Guelph Predators can now call themselves national champions. The team took home gold in the U19 division finals which were held in Charlottetown, P.E.I. this year. The Predators beat the previously undefeated Laurentides (from Quebec) by a score of 5-3. 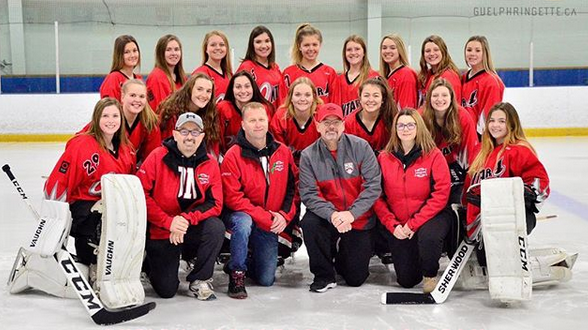 Meanwhile in the National Ringette League, the Cambridge Turbos took home bronze.